While some may consider it as a way to increase purchasing campaigns, successful entrepreneurs often feel compelled to engage in philanthropic work. Marie Forleo is a businesswoman and writer known for the award-winning MarieTV. She also owns B-School, which teaches entrepreneurs about business tactics. Marie’s humanitarian approach to business is present in all her endeavors, which help generate funds for a number of charities. MarieTV’s raised $ 63.138 that was then used to create six wells in Ethiopia. The wells currently provide drinking water to more than 1,500 people. Marie reduced part of her B-School curriculum sales to create five schools in three countries. She currently collaborates with organizations such as Virgin Unite, Compassion Collective, Kiva, Samasource, and many others in numerous charitable projects. Ajay Harinath Singh began his entrepreneur career at 12 years of age when he began to get involved in the mining and finance sectors. Seeing how family life played an important role in learning, he has used his influence to teach others about business success tactics. 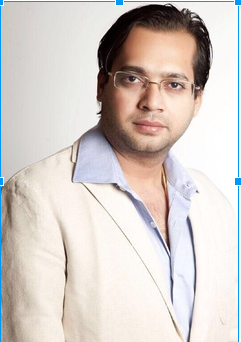 Ajay Harinath Singh is the founder and CEO of the Darwin Platform Group. Ajay Harinath Singh managed a number of blog donation campaigns, raising $75,000 of funds for Promise Pencils. The funds were donated for the building of 3 schools in Guatemala. He also managed a campaign this year with the Cambodian Rural Fund. This led to building the Dob Korsang Village School. Stu McLaren is an online businessman well known for developing the social platform Wishlist Member. He also collaborates with other influential entrepreneurs including Michael Hyatt. Stu Mclaren’s charity is has established eight schools, allowing education to over 3000 students. Pat Flynn is a known blogger and podcaster. He runs a major blog named “Smart Passive Income”, where he shares business tactics. Every year on his birthday, Pat Flynn organizes a fundraising campaign to help build schools. Helped raise funds to build two schools in Ghana. Raised $75,000 that was used towards education in various international districts.